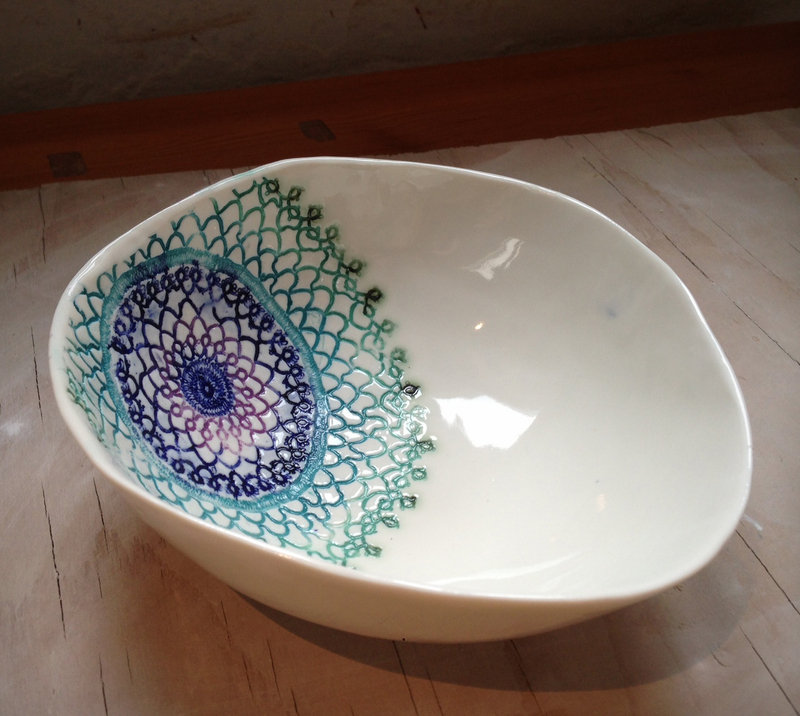 This is a new colourway and vintage lace design that I’ve been trialling for my ever-popular Doily Ware range. The tactile smooth porcelain with it’s warped curves goes beautifully with the intricacy of this hand made lace. Colours include pure cobalt and copper oxides as well as a limited palette of carefully chosen underglaze colours. 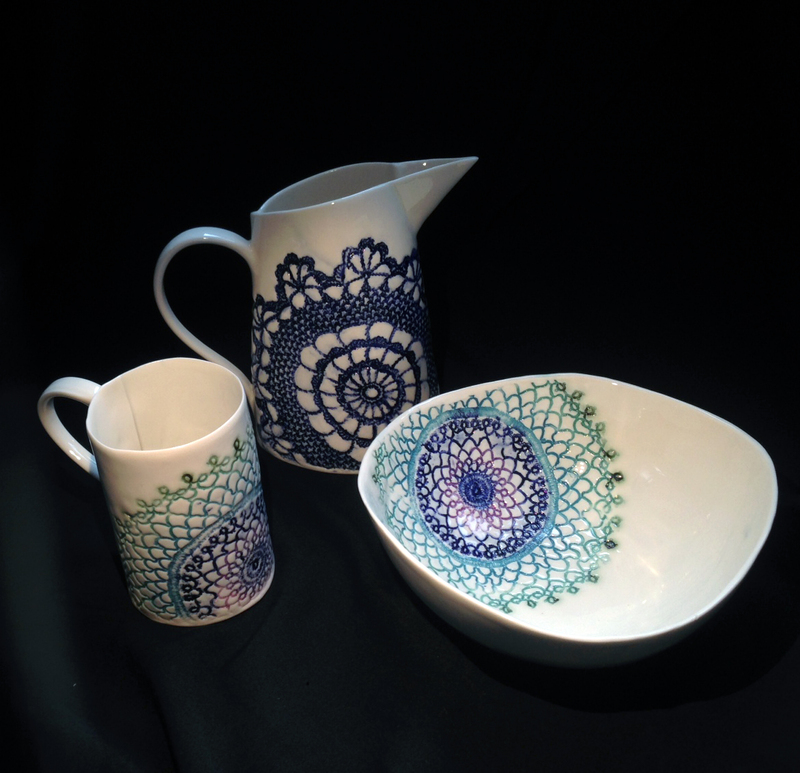 Shown below is the doily mug and large bowl, with a cobalt blue doily jug using the classic striking vintage lace pattern. I think they complement well. This entry was posted in ceramics, pictures and tagged artisan, artisan products, as the crow flies, AsTheCrowsFly, beautiful things, blue and white crockery, bone china, bowl, bristol, ceramics, cereal bowl, craft, crockery, decorative, delicate, doily, functional, handmade, homewares, jug, lace, milk jug, mug, oxide decoration, oxides, porcelain, potter, vintage by beezerella. Bookmark the permalink.